The newest inductees to the National Toy Hall of Fame at The Strong Museum in Rochester, NY were announced on November 9. 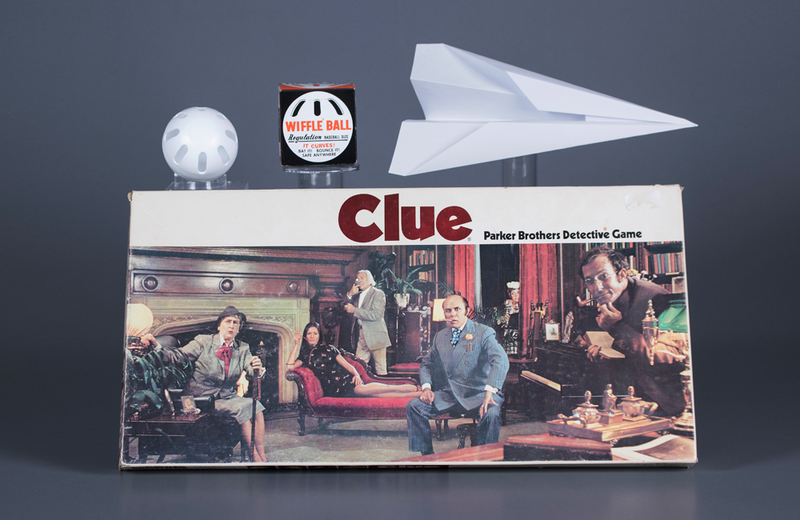 Clue, the paper airplane, and Wiffle Ball received the honour. The National Toy Hall of Fame recognizes innovative toys and games that inspire creative play and which have earned a place in the hearts and minds of the public. Each year, the toys and games chosen as finalists go through a rigorous review process. Inductees are announced at a live ceremony at The Strong Museum each November. Other 2017 nominees included PEZ, Risk, Transformers, UNO, sand, play food, My Little Pony, Matchbox Cars, and Magic 8 Ball. These inductees join past inductees, just a few of which include Fisher-Price Little People, the Easy-Bake Oven, Hula Hoop, Scrabble, Rubik’s Cube, and Silly Putty. Do you feel a deserving classic toy or game is absent from the National Toy Hall of Fame? Use the nomination form on the National Toy Hall of Fame website to advocate for your pick. Read the full news release to learn more about the 2017 inductees. Join Brian Washington – vinyl collector, writer, commercial artist, composer, and voice artist – as he offers a glimpse of his favourite childhood vinyl.